I think, correct me if I am wrong, it is pronounced tee-ann ...but don't hold me to it. Anyhow the language of food is taste...isn't it? And this is yummy! I have had a vegetable tian before - layers of various types of vegetables, each successive layer complimenting the taste of the previous layer, but this month's challenge was a dessert tian. The layers in this recipe are orange segments in a caramel sauce, then whipped cream, then marmalade then a cookie dough. 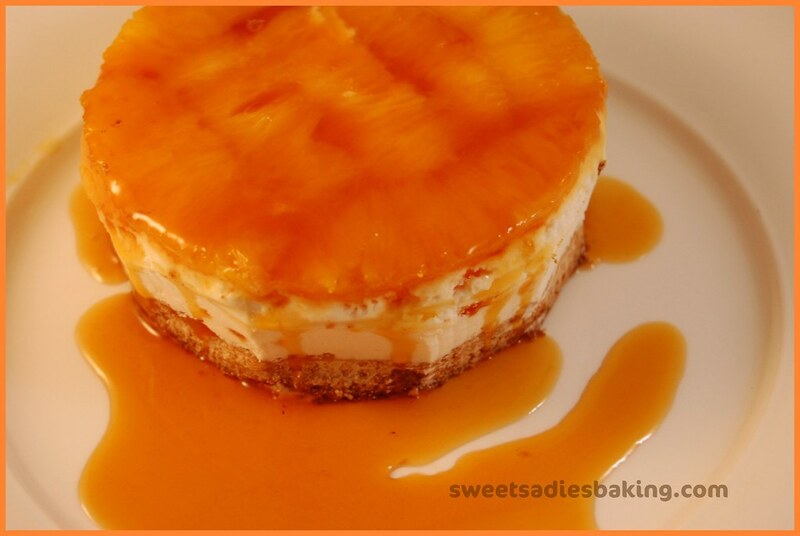 You flip it over and un-mold it so the orange segments are on the top and of course add some caramel sauce on top for the last touch! I made enough marmalade so we could have some with toast. Dan loved the marmalade! Especially when I served it with with toasted homemade Anadama bread....nothing like it. 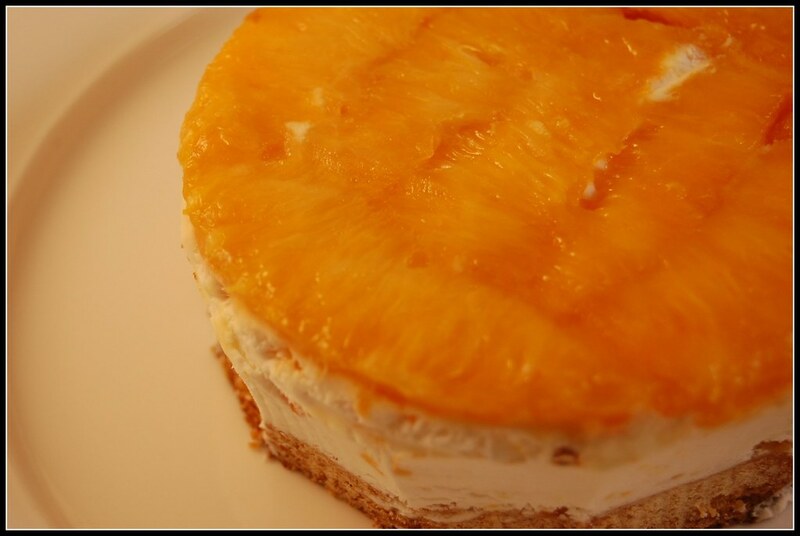 There are quite a few steps to making this dessert; however a lot of them can be made in advance. The orange marmalade can be made several days ahead of time and the caramel sauce and orange segments preparation should be made the day before you make the dessert. Also, if you have a scale, try and use the weighed measurements as they will be the most accurate. You can use a round cookie cutter, but I used individual cheesecake pans - without the bottom. Using your cookie cutter or cheescake pan, cut out circles of dough and place on a parchment (or silicone) lined baking sheet. I actually left the cheescake form around it while baking. Bake for 20 minutes or until the circles of dough are just golden. granulated sugar: use the same weight as the weight of orange slices once they are cooked. Finely slice the orange. Place the orange slices in a medium-sized pot filled with cold water. Second time -re-fill with cold water and blanch the oranges for another 10 minutes. Third time - re-fill with cold water and blanch the oranges for another 10 minutes. This process removes the bitterness from the orange peel, so it is essential to use a new batch of cold water every time when you blanch the slices. Once blanched 3 times, drain the slices and let them cool. That looks beautiful! I love the pool of caramel it is sitting in. The first one I plated didn't look so nice pooled up so I had to do a little design to make it look more appealing. Great job! Great job! Your tian looks perfect! I love the great pool of caramel - perfect for dipping! It was rather yummy wasnt it? And I am prouncing it the same way you are. Great job here. penny this looks great. well done on this month's challenge! That looks so good....wish I was there to taste it! !